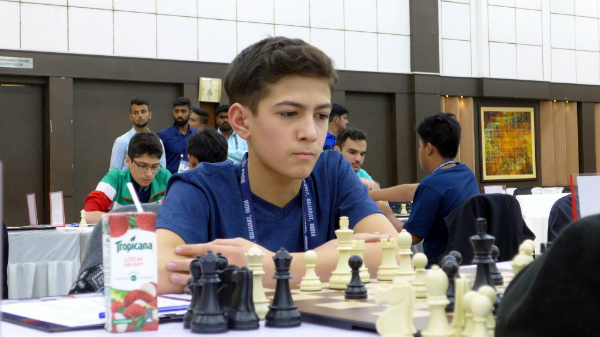 The World Youth Chess Olympiad 2017 was off to a clean start for all the top seeds. 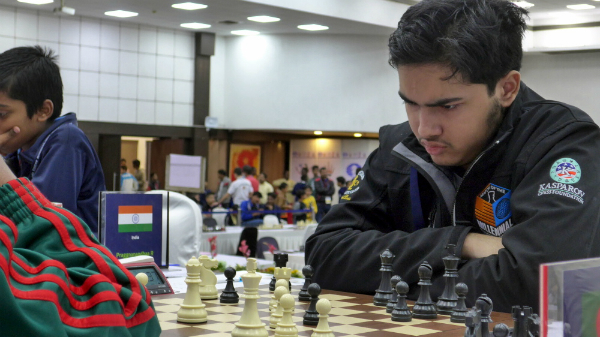 With an average rating of 2509, India Green is clearly the strongest on paper but there was a minor flutter on the first board when the only Grandmaster of the tournament was held to a draw by a Bangladeshi super-talent. 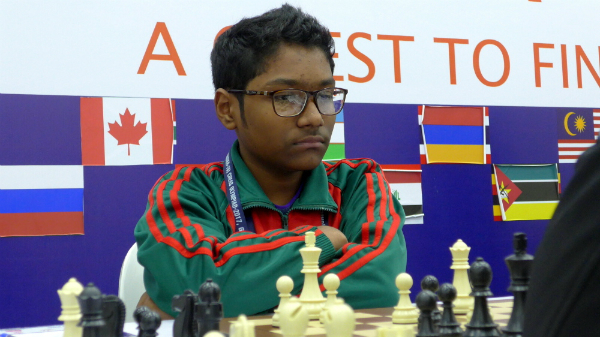 14-year-old Mohammad Fahad Rahman, rated 2232 of Bangladesh is the No.1 ranked player in his country in Under-18 category. Md. 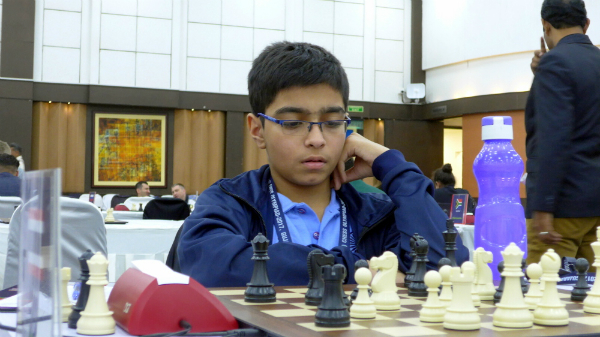 Fahad Rahman was playing the white side of a Ruy Lopez against GM Aryan Chopra, rated 2532. 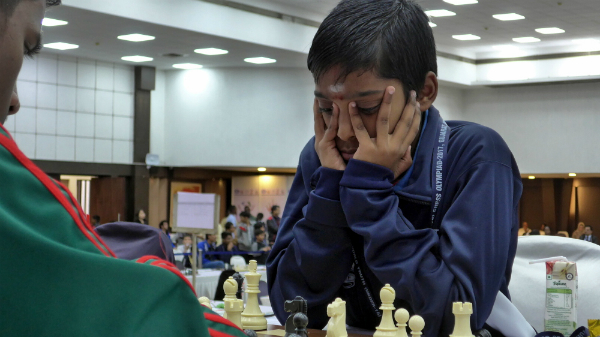 He did not have a clear idea about the plans for White, and hence had to rely on his intuition to find the best moves. He did so fairly successfully and in the end gained what looked like a slightly better position with more active pieces. Notwithstanding this minor upset, the Bangladeshis were no match for the India Green as the remaining India Green players awarded our neighbours a beat down. The match was won by India Green 3.5-0.5, with the Greens gaining 2 match points for the win. 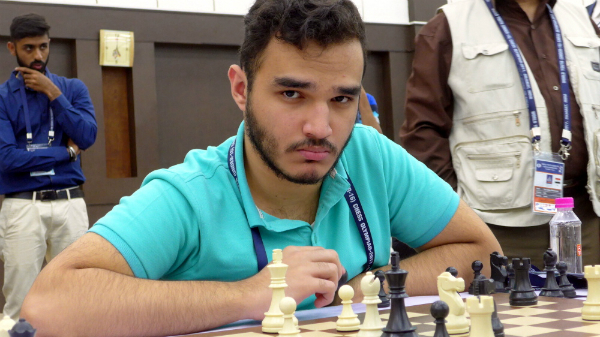 The second seeded Iran, with an average rating of 2469, come into the 2017 edition of the tournament as the defending champions. They were pitted against Indonesia and this was also an easy outing for Iran, who picked up the 2 match points on offer. 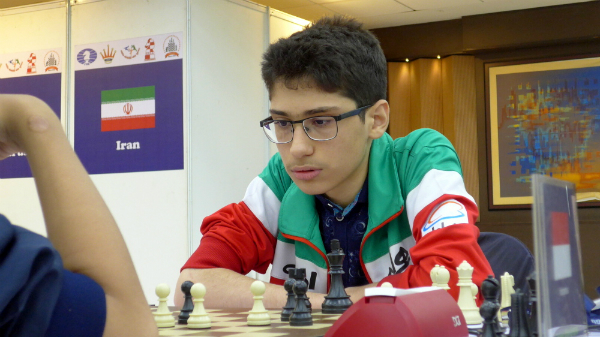 Iran’s 14-year-old IM Alireza Firouzja, rated 2526, and is clearly a super talent and a player of the future. 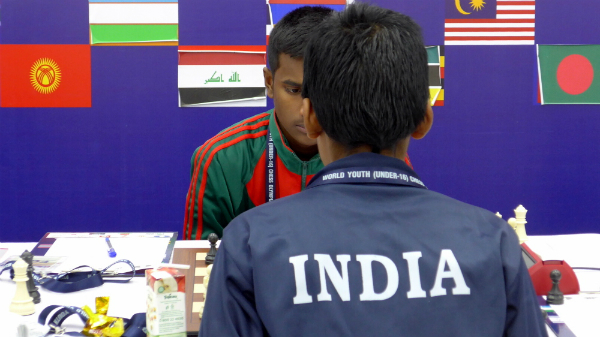 The third seed Russia, too, walked to an easy victory over Iraq, gaining two match-points. 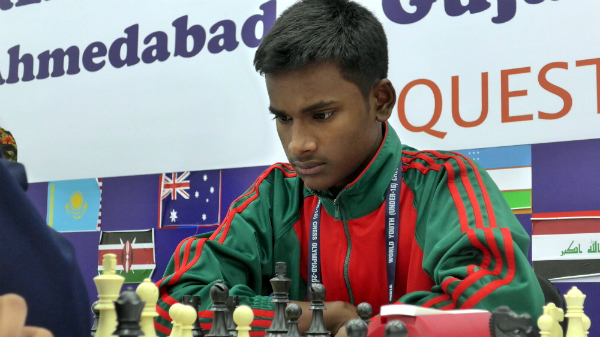 The other Indian teams in the fray — India Green and India Red — also defeated Australia and Thailand respectively, both with the scores of 3.5-0.5. Both the teams picked up 2 match points each. 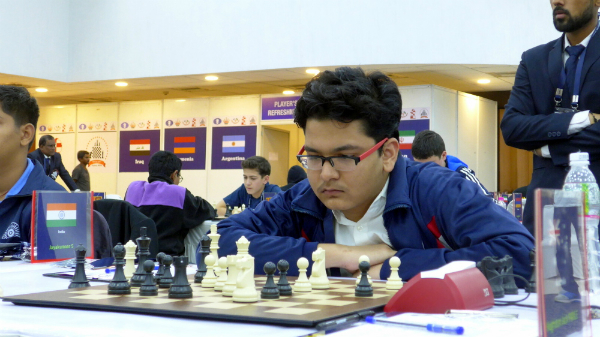 On the eighth board, in the Turkey vs. Nepal A match, Milan Lama, rated only 1833, managed to beat almost 500-point higher rated FM Ekin Baris Ozenir, rated 2377 with the black pieces was the other notable upset of the day. 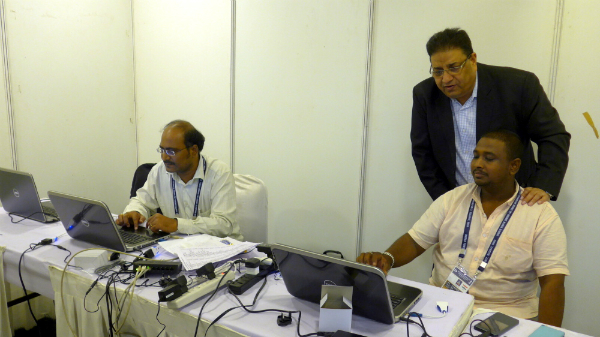 Irrespective of the scores, the winning teams get 2 match points. If the match is drawn, both the teams split the points and take home 1 point each. 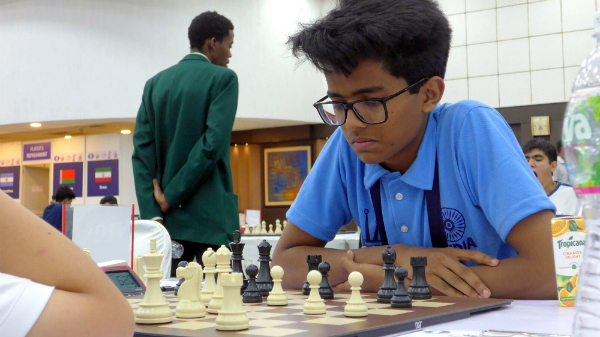 The tournament is a 9-round event that will run from 11 December 2017 to 18 December 2017 at the Karnavati Club in Ahmedabad. 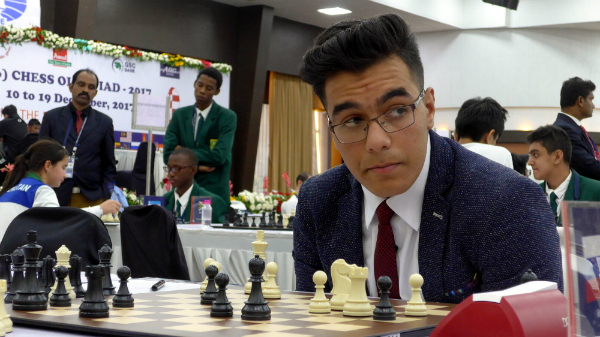 This mega-event has 148 players from 25 countries competing, with Nepal, Kenya, and South Africa fielding 2 teams each, while India, being the host country has fielded three teams. 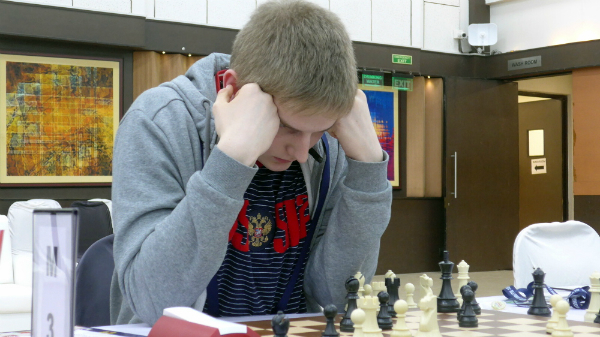 There is 1 Grandmaster and 14 International Masters in the fray.